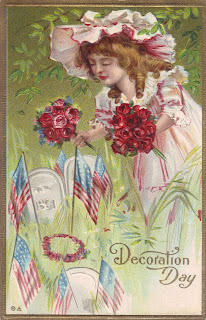 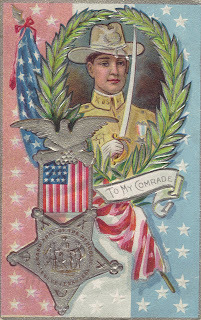 Here are a few post-card images of Decoration Day/Memorial Day from the early 1900s. 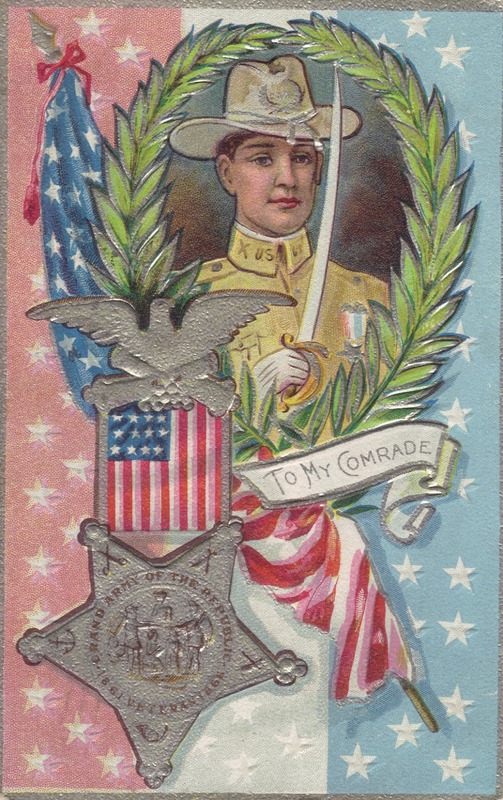 The only one of these that has a date on it ("to my comrades") shows 1910 as the date, but I believe the others are from the same time frame, the 1910s or 1920s. Looking at these and others I've seen, it's remarkable how different post cards then were from now. 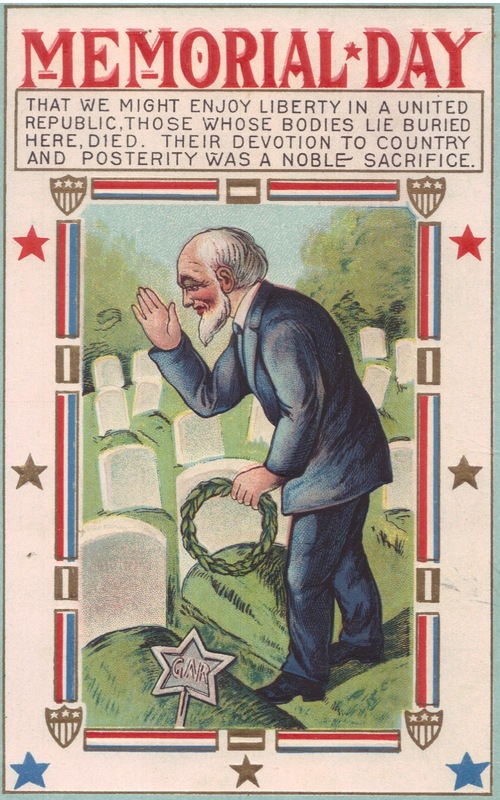 Of course, modern photography makes current cards more reliant on it than on artwork and the imagination that went into these scenes, but the artwork and the scenes so many cards from back then depict are remarkable. 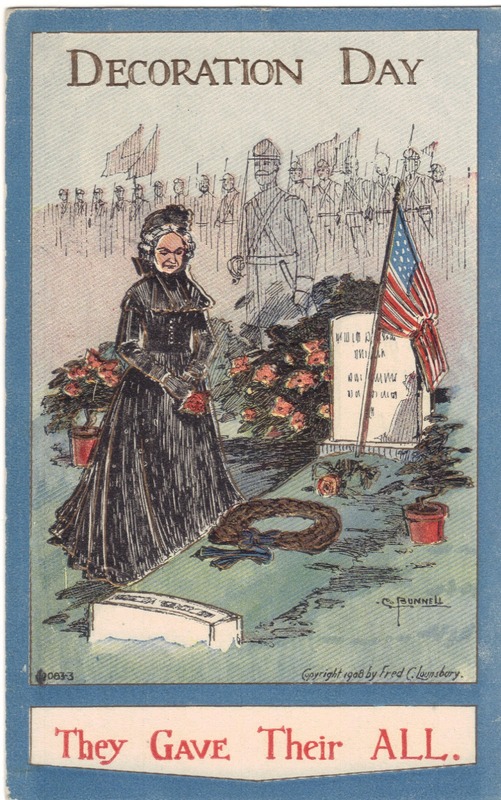 The pictures themselves get their powerful messages across, even when the artist decided to add some descriptive wording. 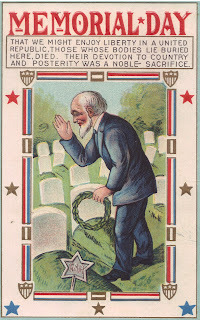 Though I, of course, focus on Civil War veterans, Memorial Day as we now know it is to honor all deceased Veterans of the United States Military and I hope everyone reading this will remember that, even if briefly, on this national holiday.